Fiona opened the meeting by wishing the 80 members and the 2 guests who attended a Happy New Year. Bring and Buy Sale: Fiona thanked everyone for their donations for the Bring and Buy Sale – £155.65 was made so well done everyone. Some of the Bring and Buy items have also gone towards the Tombola stall we will be running at the South West London WIs’ Centenary Fair in Barnes on the 9th June. Summer Fairs: The Wimbledon Fair is no longer happening and as this was our biggest fundraiser (approximately £1,000) we are keen to attend other similar functions and already have a couple in mind. So we will still need your lovely jam, cakes etc. And talking of cakes, one of our members mentioned the Christmas cake ingredients boxes now reduced to £2 in Asda! Quiz Night: Fiona mentioned the forthcoming Quiz Night on Saturday, 24th March. This is always a good evening and once again, Agnes’ son has kindly offered to be our quiz master. So do come, either on your own or, if you can, make up a table of 8. Tickets are £13 which includes a Ploughman’s Supper. There will be a cash bar and profits will go to our charity, Carers Support Merton. Please contact Gillian if you would like to go. Individual WI members, WIs and Groups are invited to participate in an initiative to get SFWI members walking to improve their health and well being. Walking is one of the most accessible forms of exercise proven to improve health. Walking is a natural stress remover, relieving the triggers that release endorphins in the brain, the natural hormone that soothes both stress and pain. You may wish to plan and walk with your fellow members or join walks put on by many organisations in and around Surrey e.g. National Trust, Surrey Wildlife Trust, Surrey Hills and Surrey County Council. Participants are invited to record their progress in any way they wish e.g. a diary (real or virtual), a scrapbook, a Fitbit log, photos, blog etc. 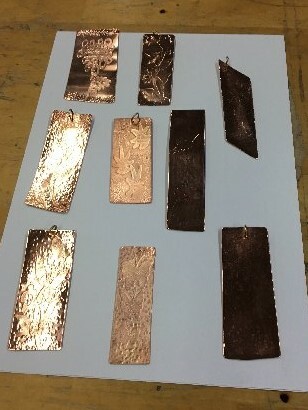 It is suggested that these be shared within Groups and that a selection of these will be chosen and displayed at the ACM in Spring 2019. So… let’s put our best foot forward for the next hundred years! Richmond Park Walk: With the above in mind the South West London WIs feel that a larger scale walk would be good to involve everyone that wanted to take part and the plan is to have a walk in Richmond Park at 10.30 on Saturday, 17th March. The exact meeting places have yet to be confirmed but there will a refreshment stop at Pembroke Lodge so those not wishing/able to walk far can park there and meet to share a short mile and refreshments. There will be a couple of options to walk either a couple of miles or a longer 6 or 7 mile route. The miles will be totalled amongst your WI members to add towards your 100 miles for 100 years total. More information about this walk to follow. As London WIs are holding their centenary event on Saturday, June 9th it would be great to be able to display the documentation from our WI as part of this. You could document in a journal, photos, a short diary or any other way you choose. Wimbledon Village Fair: We have heard from Wimbledon Guild that after 25 years of organising the annual Village Fair, they are unable to keep pace with the operating costs and it is no longer financially viable. As Wimbledon Village Fair is our biggest fund raiser, we are therefore looking for similar events where we can sell our homemade produce. So if any member knows of such events, please could they inform the committee. But in the meantime, don’t stop making your wonderful preserves etc. SFWI Centenary: Fiona mentioned the list of events happening next year to celebrate SFWI Centenary. A copy of this is on the noticeboard but one date to put in your diary is Saturday, 9th June, when London South West WIs will be having their own fair at Barnes Green Centre between 11.00 and 3.30. Each WI will run a stall – unfortunately, homemade produce has already been taken! Imogen is our liaison officer and will keep us informed of developments. Please contact Gillian if you would like to go. Please note, to secure a place for an event, payment has to be made at time of booking (preferably by cheque). Denman: Special Offer – Taste of Denman, March 10-11 (£155). Email Dulcie for details. Volunteer for Age UK Merton: We have been contacted by Age UK Merton who are looking for volunteers to help with their organisation. As “Link Together to Alleviate Loneliness” is one of our resolutions passed in 2017, we are happy to pass on this information. “Volunteering is a fantastic way of making friends, developing skills and giving back to the community whilst having fun. Age UK Merton delivers a wide range of services and activities, and volunteers are at the heart of this. If you can spare just a few hours each week we’d love to hear from you! Our volunteers support all our services including: Befriending, Reception, Health & Wellbeing, Activities Centre, Out & About and Admin Support. Entertainer for the evening: We were all thoroughly entertained by Tony Harris and his “larger than life” impersonation of King Henry VIII. Tony in full regalia as King Henry gave a very detailed and fascinating insight into King Henry’s character and personality. Tony who is extremely knowledgeable about this fascinating monarch’s life not only quizzed his audience about his many wives but was able to portray Henry in such an amusing and enjoyable way that a lot of us learnt many more interesting facts surrounding his eventful reign. Denman Bursaries: King Henry kindly drew the two Denman Bursary winners. Congratulations to Gillian and Janice. Subscriptions: Collecting your subscriptions for 2018 which are due in January for everyone and will be £41 for full membership and £20 for dual member (to their second WI). Please make cheques payable to Wimbledon WI and put in an envelope with your name, (please also make a note of any change of address, telephone numbers or email details on envelope so we can keep our database up to date). If you are not renewing for any reason, please let us know and we will not chase you for payment! If for any reason you cannot attend this meeting and you know someone who is, ask them if they would mind bringing your subscription in an envelope as well. Guest Fees: Will increase to £5 for 2nd and 3rd visit – 1st visit is free. Vote on Resolutions: Please keep your November/December issue of WI Life which gives you information on the resolutions which might be considered at the 2018 NFWI AGM in Cardiff. We will be discussing these at our January meeting. So don’t throw away your copy, study it and bring the resolution selection form with you to complete at our January meeting. Bring and Buy Sale: We will be having a Bring & Buy Sale to support our 2018 Charity of the Year – Carers Support Merton. Please bring all your unwanted presents and any new, unused items and of course some money to buy something so we can start this year off with a good donation to this worthwhile Charity. Fiona opened the meeting by welcoming 70 members and 2 guests. Gillian mentioned that afternoon tea at St. Pancras Hotel has been arranged for Saturday, 17th March (£38). Also there are still places for the Brands Museum, Saturday 27th January (£12) Please contact Gillian if you would like to go. Please note, to secure a place for an event, payment has to be made at time of booking (preferably by cheque). I’d like first of all to thank you all for the opportunity of having the ‘Denman experience’. From the beautiful surroundings to the delicious food and fascinating company, it was something that I shall never forget. I took advantage of the shuttle service Denman organises, so I was picked up from the station at 4.00pm. At 6.00pm about 100 people taking I think 8 courses gathered to be introduced to their tutors. During the welcome speech we were encouraged to help the funding of a new stair carpet for the main house by patronising the bar freely! Two minutes later our tutor said that as our Cryptic Crosswords was ‘an intellectual course’ we shouldn’t have too many glasses of wine before the evening session! This statement was met by stunned silence from the audience, but as I was a little apprehensive about being able to keep up with the course, I was more than happy to heed that advice. I therefore joined the others after dinner ready for our first session. Brian was at pains to assure us from the start that, although he accepted the course might be quite challenging he did want to make sure we had a few laughs too. He couldn’t, he said, send us away after a day and a half ready to do any crossword we attempted, but he wanted to teach us at least how best to approach them. And I can say that I do now feel better equipped to recognise strategies and have even attempted The Times (‘Quick’ – shh!) Crossword! And Brian was true to his word – he had no end of amusing anecdotes from his very varied experience. This one he saved till last: his parents were members of the Salvation Army, and encouraged him to join the brass band. After attempting and failing to master the cornet and tuba, he was finally told to take charge of the percussion section. One evening he was performing in a concert and, getting carried away at the back on a rostrum, didn’t notice that his kettle drum playing was vibrating the staging so that his music stand crept away and eventually fell off the edge of the rostrum, hitting the trombonist in the back of the neck so that his slide shot out and took out the first row of violins! Katharine, on behalf of everyone who attended, thanked Fiona for arranging the courses (Jewellery and Introduction to Floristry) at Sutton College, followed by a talk on James I and the English Witch Hunt. They were enjoyed by everyone. She also said they work with families by advocating on their behalf, offering them emotional support and by giving Young Carers opportunities to take part in new, informative and fun activities. Tracy then thanked us all for the collection of Christmas presents we had brought to the meeting and for choosing Carers Support Merton as our charity for 2018. Fiona mentioned that next month we would be having a royal visitor – King Henry VIII will be entertaining us at our December meeting when mince pies and mulled wine will be available. In January we will be voting on Resolutions so keep the Resolution Selection Form in your November issue of WI Life to bring to that meeting. Hot Topics: Fiona mentioned that Hot Topics are a way of informing members and recording what has happened at our meetings as minutes were not taken. Everyone should receive a copy of Hot Topics either by email or by post. Chris is standing down from the committee at this time. Fiona presented Chris with a bouquet of flowers and she thanked Chris for all of her hard work as treasurer in past years and for sharing her knowledge of rules and regulations with her fellow committee members. Following a show of hands, indicating WI members’ approval, the remaining committee members will continue as before with the addition of Angela. None of the committee indicated that they would like to stand as President. Following a further show of hands, indicating WI members’ approval, Fiona will continue in her role as President. Wendy presented her Financial Statement for the past year. The Financial Statement was audited and passed by the Surrey Federation auditor who complimented Wendy on having presented the best set of financial records that she had seen to date. Fiona proposed the adoption of the Financial Statement. The proposal was seconded by Gill and members indicated by a show of hands that the Financial Statement was accepted by all present. Lys gave a report of the speakers, outings and events that we have enjoyed over the past year. Fiona thanked Gillian and her team for all their hard work of planning and organising the programme. Fiona proposed that the report be adopted and Ann seconded this proposal. The members indicated their agreement by a show of hands. Fiona said how much she enjoys being part of our WI and she said she is happy to continue in her role as President. Fiona thanked the committee and all members who have supported her so well over the year. Wayne Watling, Counter Terrorism Focus Desk Supervisor. Wayne told us that he has spent the past 22 years working with the Metropolitan Police, mainly in a uniform role. For the past two years he has been the supervisor of the Counter Terrorism Focus Desk (CTFD), working in partnership with Transport for London. He compiles Counter Terrorism (CT) messaging, presents a number of corporate and bespoke CT products to increase CT awareness and reassurance. Wayne said that it was highly unlikely for anyone present tonight to encounter a terrorist attack, however, the threat is still there and the importance of staying alert and aware. The National terrorism threat level is still “severe” and has been since 2014 and it is important to have eyes and ears on the ground as 550 cases are being handled at one time. O – Obviously suspicious – Does it have wires, circuit boards, batteries, tape etc. T – Typical – Is the item typical of what you would expect to find in this location. RUN – Escape if you can, insist others leave with you, leave belongings behind. HIDE – If you cannot run, hide. Try not to get trapped, be quiet, barricade yourself in. TELL – Call 999. Informing of location, where suspects were last seen and description. And he left us with one last message. Be vigilant, our behaviour can reduce threats to the organisation, be security savvy. The Anti-terrorist Hot Line is 0800 789 321. Thank you to everyone who either helped to make the poppies or bought them. We raised £255.65 to send to the Royal British Legion. A joint wreath was also laid on Remembrance Sunday with SW19 WI at the Wimbledon Village War Memorial. Christmas Dinner at the Taste Restaurant, South Thames College, Morden, on Wednesday, 6th December, at 6.30 for 7.00. Fiona welcomed 66 members and 2 guests and hoped everyone had an enjoyable summer. Copies of these can be found on the noticeboard. The aim of this week is to encourage members to try new activities that relate to the subject “Healthy Living and Wellbeing”. If you have any ideas that we could do this week to inspire our members to take steps towards leading a healthy and balanced lifestyle, we would love to hear them. This makes for interesting reading and a copy of it will be on the noticeboard. Quite a few of us have still not had instructions or logon details for the new My WI Website. To request access to the site online simply go to https://mywi.thewi.org.uk/ and press the ‘Request Access’ button or call on 020 7371 9300 and select option 0 to get set up over the phone. Please contact Gillian if you would like to go to any of above. Fiona has arranged with Sutton College who will run two workshops and a talk on Saturday, 18th November for Wimbledon WI. 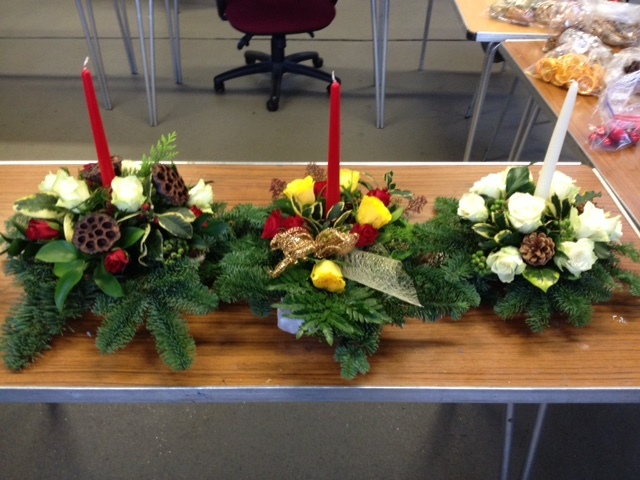 They are Jewellery and Introduction to Floristry which were the two most popular. These will be held concurrently between 1.00 and 3.00 followed by a talk on James I and the English Witch Hunt. Spaces are limited for the workshops but the talk is open to all members. Please contact Gillian to add your name to workshops. Sheila mentioned it is time to start thinking about a local charity for next year. If members have any nominations for our charity of the year, please let one of the committee members know. Fiona thanked both Imogen and Eileen for their beautiful needlework creations for the Surrey Federations Centenary Celebrations next year. Eileen’s piece will be forwarded to Surrey for inclusion in the Centenary Record Book. And Imogen’s will be framed and displayed as part of our own 10th anniversary celebration next year. Congratulations to them both. At Monday’s meeting £44.50 was made from the book sale which was organised by the Book Club and the funds will go to Wimbledon WI. Thank you to members who brought in books and jigsaws. “As a new member of Wimbledon WI, I was presented with a copy of Surrey News. In it I spotted an advert for a tuition Croquet Day at Surbiton Croquet Club. I thought that this sounded a fun thing to do in August and that was how it turned out. About 30 members of Surrey WIs attended and were separated into pairs for the day. Male members of the club then demonstrated the basics of golf-croquet and started off games with 2 pairs against each other. The object was for one person from each foursome to get a ball through a hoop; scoring a point for their pair. The game ended after 6 hoops with the points declared. During the morning 2 games were played. The rain came down while we had a delicious lunch in a marquee but stopped for everyone to play an afternoon game. Unfortunately a storm started and that prevented everyone having a 4th game, apart from the 2 pairs with the highest scores, playing each other in the rain, to decide the winner of the prizes. The games were played in a friendly spirit and the refreshments during the day were greatly appreciated”. Rita. Fiona welcomed 74 members and 2 guests. She also reminded everyone about our Summer Picnic on Saturday, 19th August and hoped a few more will sign up as it is a lovely afternoon where we have the opportunity to enjoy lovely food, have a drink and get to know each other – friends/partners welcome. Fiona said that as part of being a WI member is about educating women she had been in touch with the Principal at Sutton College who has kindly agreed to run 3 workshops and a “talk” for our WI in October. In order to ascertain which workshops and talk is the most popular, members were asked to tick 3 of 5 workshops and 1 talk and we would go with the most popular. Lys went on to mention that at the NFWI Annual Meeting in June delegates voted to pass two resolutions, End Plastic Soup and Alleviating Loneliness, which will both now form the basis of new NFWI campaigns. Submissions for the 2017/18 resolutions process are now open! Any member can propose a resolution for consideration – simply complete a submission form by hand or online, and remember to read the guidance notes! So if you feel inspired to submit a resolution on an issue that you feel passionately about please click on link below for further details. A range of other useful resources can also be found to support your submission. Closing date for resolutions to be submitted to the NFWI is 15th September. Lys mentioned the 100th anniversary of Surrey Federation of WIs which happens next year. They are inviting every WI in the federation to produce a double page entry for the Centenary Record Book. We have the written history page of our WI covered but would like members to produce a page showing a craft work representation. It can be created in pastel, charcoal, water colour (not oil), pen and ink, fabric, needlework (no raised work e.g stumpwork, beads, buttons) or photography. PLEASE NOTE special acid-free paper and photographic paper has to be used for artwork and photos (please contact Lys (020 8946 7248) for this special template paper which has 35mm border). To ensure consistency all work should be the size of H227mm x W140mm (portrait orientated) and un-mounted. We know we have some very talented members and hope you will take part – all entries have to be in at or before our September meeting when we will vote for the winning entry. Lys mentioned that she had had a good response from members offering lifts to those who find it difficult to get to our meetings. So please let us know if you would like a lift to and from our meetings and we will do our best to arrange this. Similarly, if you are able to offer lifts, we would like to hear from you too. Thank you. 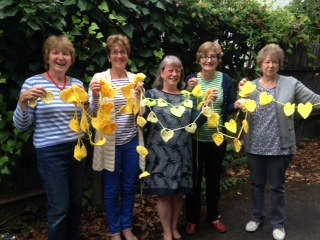 Gothic Valley WI in solidarity with Grenfell Tower asked WIs to knit and crochet yellow hearts. The colour yellow is internationally recognised as a symbol of the missing and many people in and around the Grenfell site have adopted this to represent those that they have lost in the fire. Local residents started to tie ribbons around trees and fence posts to remember those in the community who they have lost. 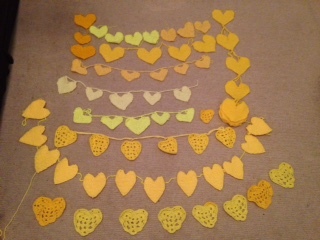 Gothic Valley asked for yellow hearts so that they could be added to the area to bring about a feeling of love and, above all, support. Next meeting 18th September – Talk by Mel Rees – “My family and other setbacks”. Book sale and jigsaw swap (you don’t need to bring in a jigsaw to swap). Edenbridge & Oxted Agricultural Show – Sunday 27th and Bank Holiday Monday, 28th August. We wish you all a lovely summer until we meet again in September and hope to see a lot of you at our picnic on 19th August (contact Gillian for details).